Totem Tamers celebrates with you! No matter which holiday you may be celebrating this weekend, find the sweetness all around! 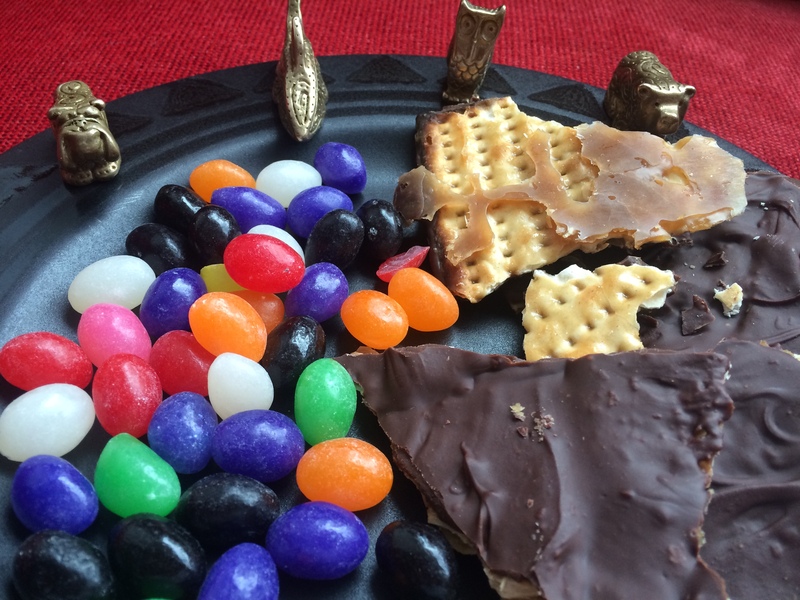 Totems, Jelly Beans, and Matzoh Crunch….sweet! Totems are definitely sweet gifts to give, so if you want to give the gift of calm, click on any Totem on the side of the page and get one today!